Labour's Left Face - Don't Get Fooled Again! 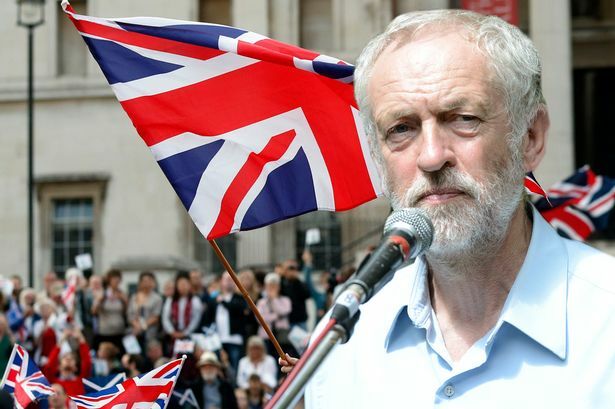 Jeremy Corbyn's election as leader was not part of the plans of the Labour Party (LP) establishment. It was clear that a significant proportion of the MPs who helped his last-minute candidacy supported one or more of the other "business as usual" candidates. The intention of the MPs and their supporters was simply to maintain the LP's brand as a "broad church". After 20 years when the traditional commitment to state intervention and a "welfare state" had been ditched in favour of cutbacks and austerity it was still necessary to present the left with options safely in the fold of Labourism. Corbyn was intended to be an Aunt Sally radical to disappear in the first round or two of voting with a slap on the back and wishes for "Better luck next time". However, the ingrained smugness of the MPs was blown apart. After decades of believing in their own propaganda about the politics of "opportunity" i.e. unbridled exploitation, now "austerity-lite", they discovered the limits of their self-deception. Forgetting Lincoln's saying, they believed that they could "fool all of the people all of the time". We could dwell on how these, mainly young, people became so deluded, but there is a far more serious job to be done. Corbynism offers no way forward for the working-class in Britain. Already the leftist camp-followers -the 57 varieties of Stalinism, Trotskyism and left social-democracy - are worshipping at the altar of JC. For the next period they will be foisting their illusions in Left Labourism on anyone who will listen. State intervention and a likeable Labour leader do not equal Socialism! Many of the younger "Labour supporters" who bought the right to vote for £3 have been brought up in decades of crisis with uniquely unlikeable Prime Ministers such as Thatcher, Blair and Cameron. It should therefore have been no surprise that they opted for Corbyn against the 3 "more of the same" stooges. Corbyn presents as an old Labour leftist who's been in Parliament since 1983 but still retains a degree of empathy with those who've suffered under successive governments, whether Labour or otherwise. However his appeal to the LP electorate has a political foundation based on reformist illusions and the false argument that socialism is all about a well-meaning state steered by well-meaning people. This utopian fantasy both misrepresents the true essence of a socialist world and pretends that there is a continuity between the existing system and a future without exploitation. Corbyn presented a ten point platform calling for "a fairer, kinder Britain based on innovation, decent jobs and decent service. They were a mixture of promises, impossible to deliver during a capitalist crisis, and echoes of the nationalisation and state intervention implemented by the Labour Government to restructure British capitalism after the end of the Second World War. The mixture is easy to see in the very first point "Growth not austerity - with a national investment bank to help create tomorrow's jobs and reduce the deficit fairly. Fair taxes for all - let the broadest shoulders bear the biggest burden to balance the books". The basic capitalist dynamics are untouched, a state-owned bank is given a new remit to support capitalist enterprises and a system with exploitation at its very root is mysteriously rendered fair! There is little point in unpicking the ten points line by line because, as sure as night follows day, the promises will bend and shape over time. Nevertheless, we should examine some of the themes running through a programme which is both utopian and minimalist. There is an earnest wish for "better things" with no hint for how these can be delivered in a capitalist world – "Action on climate change - for the long-term interest of the planet rather than the short-term interests of corporate profits". In a list of similar "pie in the sky" promises we have "Decent homes for all", "Fully-funded NHS", "Protection at work" and "Equality for all". The well-meaning liberal list is topped off with "No more illegal wars" - as if the death and destruction of capitalism's barbarity can be sanitised by international capitalism's legal framework. The package is rounded off with a commitment to the nationalisation - "of railways and in the energy sector," “a state investment bank” etc – so beloved of the leftist believers in the joys of ownership by the capitalist state. Corbyn revives the myth of ‘Old Labour’, the Labour Party of the post-World War 2 period: of a munificent state providing universal protection from the cradle to the grave, when capitalism was tempered by Keynesian economic measures, so dear to his heart, and appeared to generate rising living standards. The mirage of growing prosperity for all under the arm of the compassionate state ended with the collapse of the post war boom as rates of profit fell and brought on the crisis of the 70’s and 80’s. When further Keynesian methods were tried to combat the recession they proved a total failure. Increased government spending led to inflation and increased interest rates to curb inflation only deepened the crisis. So in 1976-7 it was a Labour Government which called in the IMF to implement the first cuts to the NHS etc. It was a Labour Prime Minister who announced that “you cannot spend your way out of a crisis”. Keynesian economic theory has been utterly discredited and abandoned. Today with the profitability of capital even worse than in the 70s these policies are just pie in the sky. The capitalist class will never implement them, as Blair, Mandelson and Co.have so eloquently explained. Of course, to show that Corbynism could not totally break with the needs of capitalism there's even a commitment to "a lower welfare bill" but the leftists will achieve this through "investment and growth" - all at a time when capitalism is unable to generate enough surplus to keep up its levels of profit. Capitalism has been in crisis for over forty years. During that time the bosses have repeatedly attacked the working class to try and achieve an impossible restoration of profitability. The latest phase in the crisis, since 2008, has seen "austerity" and hardship throughout the "advanced" countries. Across the globe the creeping horrors of war and barely believable deprivation and dispossession is the backdrop to the movements of masses of people. Against this tidal wave of barbarism illusions in a reformist alternative is a cruel joke. Very recently the leftists peddled their illusions in the government of the Syriza party in Greece. An imagined Corbynite election victory could only result in a variant of the Syriza experience. Prior to the total and visible capitulation to the forces of international capital we warned "Electing a Government while all the capitalist economic, political and state structures remain intact can offer no way forward. To imagine that a single capitalist nation state can escape from the globalised economy is the crowning glory on this tower of falsification." The Corbynite promised land is a mirage projected by the left-wing charlatans and dreamers. Opposed to the realities of existing austerity and the hopeless calls for a kinder capitalism Internationalists stand for the destruction of the rotten world-wide oppressive system. The future of humanity will depend on the working-class organising on a completely different basis to any of the established parties if it is to tear down the existing system and lay the basis for a "free association of producers" without states, boundaries or exploitation. We call on everyone who shares this vision to work with us and help build the Communist Workers Organisation and the Internationalist Communist Tendency to help in that historic task. More than ever – "We have nothing to lose but our chains!". Re the third paragraph re varieties of Trotskyism, please see latest articles by Julie Hyland and Chris Marsden on WSWS, because they are different from your opinion of Trotskyist views of Corbyn and are severely critical of him, however much other organisations might favour him. I say this at the risk of being charged with blogging, but believe it important to a proper understanding of what is going on that their articles of 14th and 15th Sepember 2015 should be read. Jeremy Corbyn's first Prime Minister's Question Time went an enormously long way to prove to any workers who might see it on the TV that there is absolutely no difference at all between labour and the Tories over anything other than the way they think about spending money. David Cameron, rendered reasonable and charming for once by Jeremy's relaxed style and simple questions, went a long way to establish that he too like Jeremy sees many things wrong with society which, in his opinion, like Jeremy's, all boils down to money shortages, and the way the small amount of money available to be spent on helping out the working class and keep it going, keeps shrinking under austerity. Not on the other hand that austerity can be truly said to exist anymore because the Tories under Cameron's superb leadership have dealt with it and we're all once again sailing happily towards a blissful Nirvana. This can be seen from the amazingly well paid full time employment available to all those prepared to work hard, toe the line, support bourgeois democracy when required to go and vote, accept a pruned down Health Service which really works better with fewer workers to mess it up and an Education system really flourishing now with unqualified but disciplined teachers following orders in Academies, and so on and so forth. All so simple. Everything under control. So very reasonable, so unmoved, as never yet to love or be loved, as Alexander Pope put it. As long as we don't get submerged by an unwelcome invasion of migrants and refugees bent on messing things up as in their own countries and fatherlands we'll be alright. So why don't they stay just stay there and stick it out? If Corbyn was a bit non-plussed by the new cool Cameron's acceptance of his Corbyn's outrageously left wing socialist proposals for tarting capitalism up, then he managed to hide it well. His down-and-out appearance helps here, and the under-fed posture suggests an ageing worker coping with difficult times but who believes sincerely though naively that the bourgeoisie means well and that there's good times round the corner. If you'll just hang on that is, and go on working for peanuts a few years more. After all, think of the joys of retirement with a pitiful pension and failing to make ends meet; slow starvation, cold rooms in winter, doctor's waiting room fully booked days in advance and so on. If everyone would just shut up and get on with the job capitalism only feels half as bad as it is. . Jeremy Corbyn proved this by wearing a Beatle style cap circa 1964. which reminded us all of those halcyon days in the 'sixties under Harold Wilson's leadership. Now there was a REAL socialist. We can work it out!